Snoring gets joked about a lot, but it should be taken seriously. For people who share a bed, snoring can keep the silent partner awake—and, over time, affect the relationship. Even for those who sleep alone, snoring interrupts sleep, which can lead to health problems because your body misses its opportunity to recuperate. It’s time to wake up to some solutions for snoring! Here are four natural remedies you can start with tonight. Alcohol relaxes the throat muscles, which causes your tongue to fall back into your airway. As you take in air while you’re sleeping, the overly relaxed airway creates more and louder snoring. Since alcohol in the evening also tends to decrease the amount and quality of your sleep, it’s an all-around good idea to skip it. Open up your nasal passages. Many cases of snoring are caused by blocked nasal passages, from nasal congestion or other obstruction such as a deviated septum. There are small devices that you can place inside your nose to help dilate the nasal airway. This allows you to sleep with your mouth closed, which reduces the vibrations that cause snoring. Humidifiers are another way to ease the passage of air through your nose and throat. By moisturizing the air, humidifiers in turn moisten your nasal passages and airways. This makes it easier for air to get in and out. When you’re stressed out, it can be hard to sleep. One of the reasons for this is that stress causes calcium to enter the cells, which tenses your muscles. Magnesium pushes calcium back out of the cells and allows the body to relax; but in a magnesium-deficient state, the stress doesn’t go away. 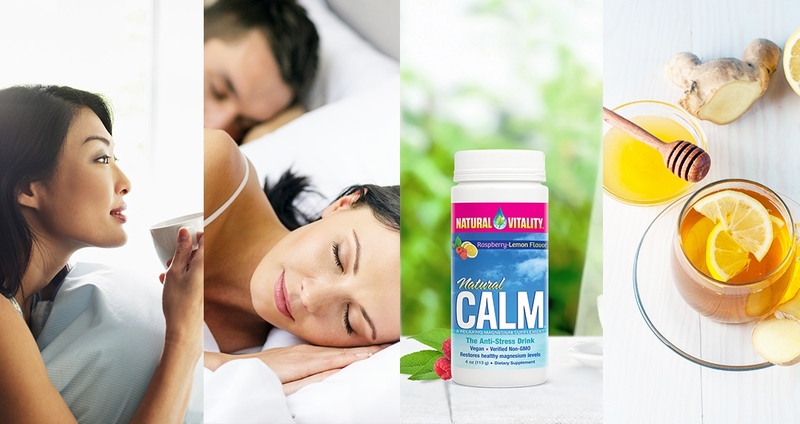 Taking a mild magnesium supplement can help regulate the calcium in your cells so that you can relax and sleep. Add honey to your bedtime tea. This helps with snoring because it reduces inflammation inside the throat. Choose an herbal tea like chamomile or lavender so you don’t have to worry about caffeine keeping you awake. Tea with honey can be soothing after a night of snoring as well; snoring inflames the airways, so the anti-inflammatory properties of honey can alleviate itching or burning sensations in the throat.